Ryan Nolan and the Grizzlies get ready for a pair of weekend games minus five key players. The B.C. Hockey League website poll this week asks fans what is the most impressive statistic in the first half of the season. 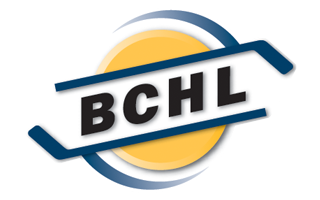 The Victoria Grizzlies received 15.6 per cent of the vote for their league-leading 120 goals in 29 games, behind the 126 BCHL players receiving NCAA scholarship commitments (39.02 per cent) and Penticton Vees defenceman James Miller’s 15 goals (27.46 per cent). 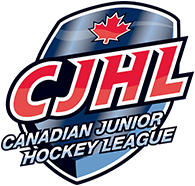 The other choices receiving votes were the Prince George Spruce Kings allowing only 63 goals in 29 games (10.69 per cent) and Chilliwack Chiefs forward Kevin Wall’s 17 points in an eight-game scoring streak (7.23 per cent). But much of that vaunted Grizzlies’ scoring power will be absent this month with forwards Alex Newhook, Alex Campbell and Riley Hughes away with Team Canada West at the World Junior A Challenge in Bonnyville, Alta. Also with Team Canada West are Grizzlies blue-liners Carter Berger, who also has 15 goals and is second to Miller in BCHL points by defencemen, and Jeremie Bucheler. With useful forward Cam Thompson out under concussion protocol, six of Victoria’s best regulars will be missing from The Q Centre as the Grizzlies (20-10-1) play the Cowichan Valley Capitals (8-18-5) tonight and Salmon Arm Silverbacks (14-12-3) on Saturday evening. One of the veterans the Grizzlies will be counting on more heavily now is winger Ryan Nolan, The 20-year-old has 25 points in 30 games. “We’re happy for the five guys who will be playing in the worlds. And I think we are going to see really strong games from new faces on our team,” said Nolan, assistant captain of the Grizzlies. Far from being daunted, Grizzlies GM and head coach Craig Didmon said the rest of his charges are up for the challenge. “The guys are excited because their ice-time minutes are about to go up and they will get to play different roles and get power-play and penalty-kill time,” he said. To fill out the roster, Didmon said he plans to call up a variety of affiliated players from the Vancouver Island Junior Hockey League this month, including Andy Westhaver and Kahlil Fontana from the Westshore Wolves, Matthew Clark of the Victoria Cougars, Dawson Frank of the Campbell River Storm and also Sean Ramsay from the Pacific Coast Hockey Academy. LOOSE PUCKS: Saturday night’s game against the Silverbacks is the Grizzlies’ annual Teddy Bear Toss game. Fans are asked to bring a stuffed animal wrapped in a plastic bag and throw it on the ice following the Grizzlies’ first goal of the game. The stuffed animals are donated to CFAX Santas Anonymous.